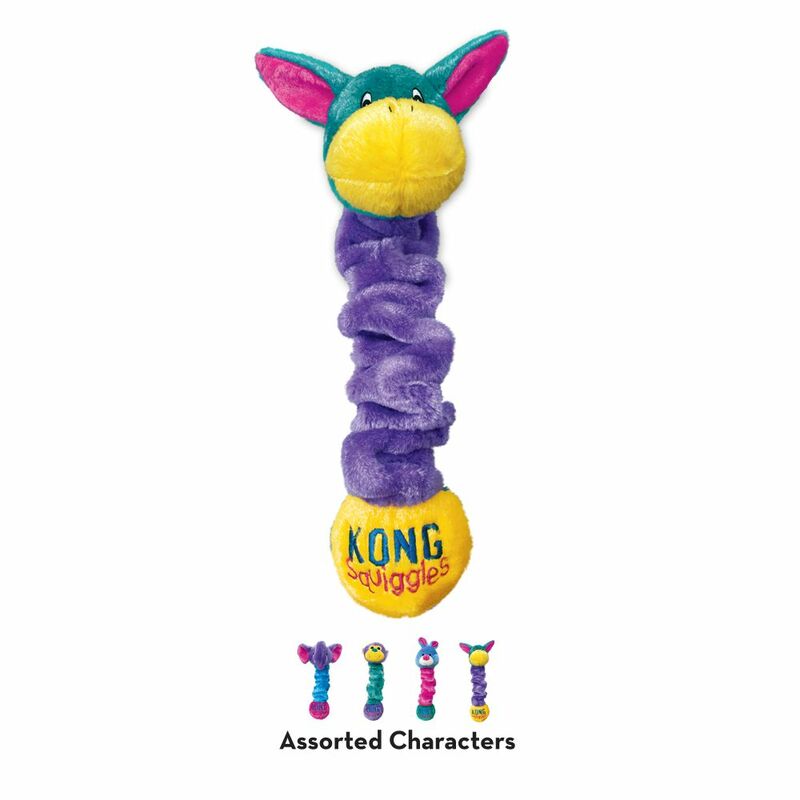 The KONG Squiggles™ are stretchy, floppy, squeaky fun for dogs. 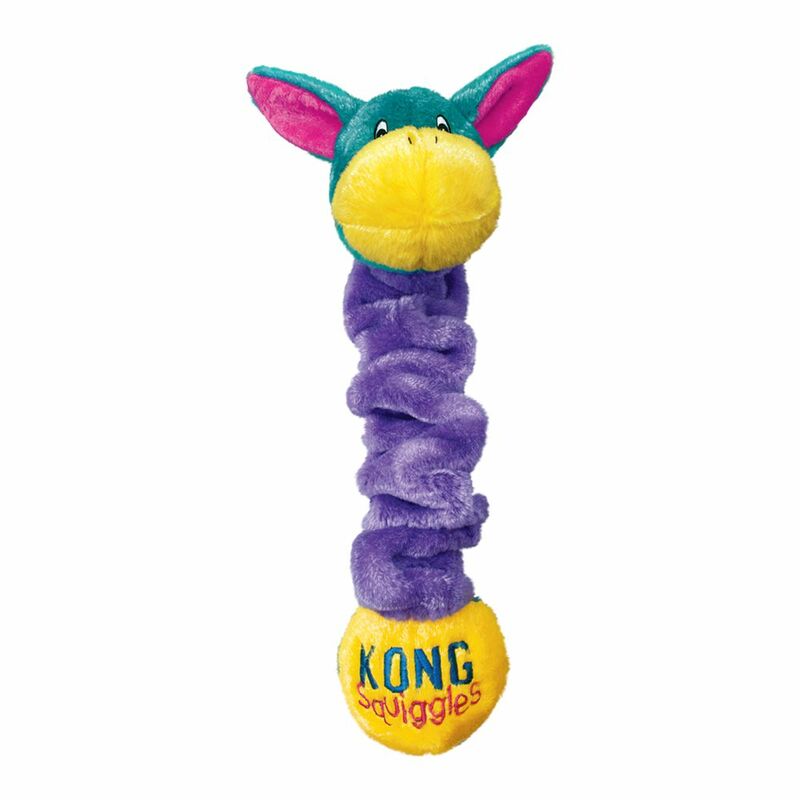 These colorful toys come in an assortment of four cute characters and feature a long, stretchy body - plus squeakers at both ends. Designed with minimal stuffing for less mess, your dog can shake and flap our Squiggles™ for lots of fun.